THE IRISH DENTAL Association (IDA) has warned consumers to be aware of the safe levels of chemicals permitted in tooth-whitening procedures. It came to the attention of the IDA earlier this year that a small number of businesses were offering to whiten clients’ teeth without being able to reveal the content of the gels being used on the teeth. A new European Council Directive has banned the sale and use of products that contain more than 6 per cent of the whitening chemical hydrogen peroxide. Only dentists are allowed to administer products containing between over 0.1 per cent and 6 per cent of the chemical to a client and after that initial test application, can only be gotten through a dentist’s prescription for home application. Non-dental clinics and off-the-shelf products are only permitted to use products containing 0.1 per cent or less of hydrogen peroxide. A non dentist carrying out tooth whitening cannot determine if the mouth is disease-free and putting a chemical into the mouth in such conditions cannot be deemed safe. Furthermore, non-dentists can only use alternative whitening agents that have no long-term research behind them and the risk from them is unknown. Tooth whitening has been carried out in dental surgeries since 1848. This involves putting a chemical (Hydrogen Peroxide) onto the teeth which has the effect of making them appear whiter. Tooth whitening went out of favour during wartime and the Great Depression but came back into favour with increasing affluence in the US in the 1950s. The new EU Directive regulating the use of hydrogen peroxide in tooth whitening became effective on 31 October 2012. 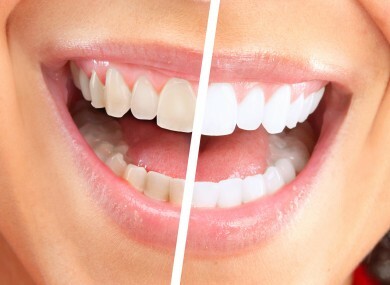 Only dentists can carry out tooth whitening using over 0.1 per cent hydrogen peroxide. The new limit for the concentration of hydrogen peroxide that can be applied to the teeth (and only by dentists) is 6 per cent. Tooth whitening can not be carried out on under 18s or in pregnancy. Tooth whitening is not recommended in heavy smokers or heavy drinkers. The use of lights (sometimes called lasers) has little effect and only serves to dehydrate teeth so that the whitening effect is temporary. The use of bleaching trays worn at night for 2 weeks using 10 per cent carbamide peroxide (this releases 3.6 per cent hydrogen peroxide) is the gold standard treatment and is backed by many years of research. Email “Fancy getting your teeth whitened? You need to know this”. Feedback on “Fancy getting your teeth whitened? You need to know this”.